“Sew” you want fabulous hair? Check this out! 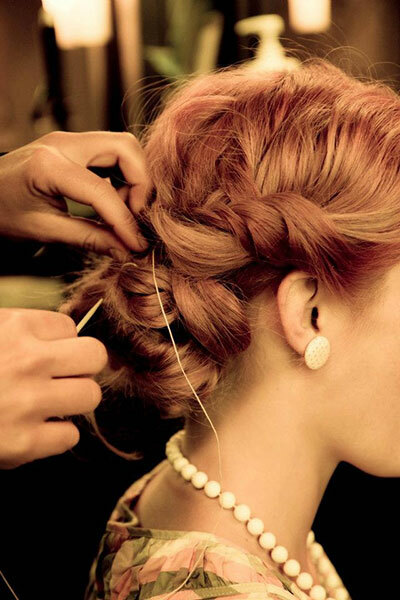 Traditionally, hair up styles have been secured with hairpins and bobby pins. Now, we have a new method. Hair Sewing. 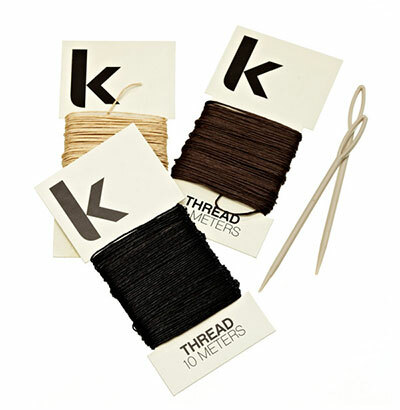 A pure linen thread that matches your own hair color is used to secure the hair tightly whilst keeping the style looking loose and feminine. This edgy new way to style your hair will have you mesmerized! Hair sewing is unique and gives an effortlessly chic finish. 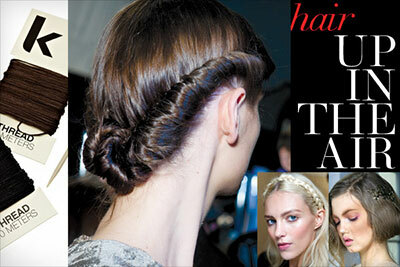 The possibilities for hair up styles that are sewn are endless-messy, soft, relaxed, undone. These styles can be adapted depending on hair length, texture, and density. Introduced and taught to one of our Creative Team Members by Kevin Murphy himself, we have trained the salon team how to provide this new styling technique. Some of the most stylish women on the planet use this technique. No Pins, Minimal Product, Easy To Remove. Why is no pins a good thing? No more scalp stabbing, no more headaches from the weight. Not to mention, the hair sewing thread blends away – no tell-tale pins showing! Fun Tip: We have sewing hair accessories including flowers or even hair jewelry. This is considered an up style, and its always best to work with hair that is slightly “dirty” for up styles, rather than freshly washed hair. Freshly washed hair does not have the “grip” and therefore the staying power of hair that is not washed. If you would still like to have a shampoo-blow dry, please book for this in advance as it is not included. The cost of a shampoo-blow dry will be added.